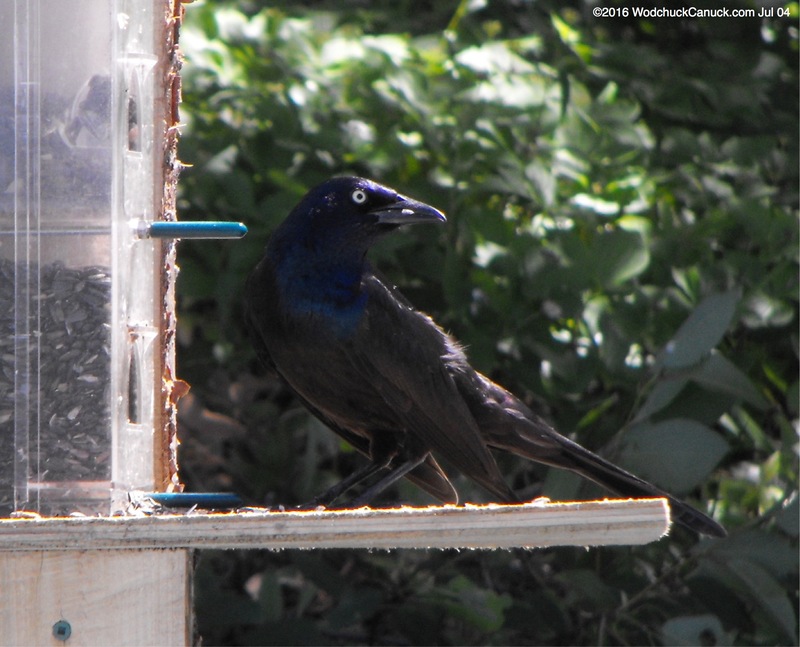 Just a few pictures of Common Grackle that made its way to the bird feeder. 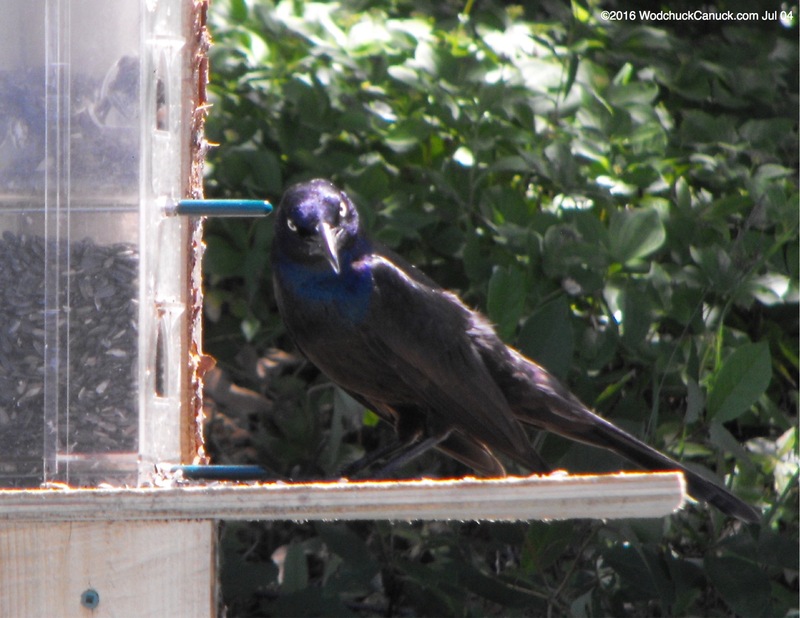 The feeder is used throughout the day by finches (Purple and American Yellow), along with bluejays. 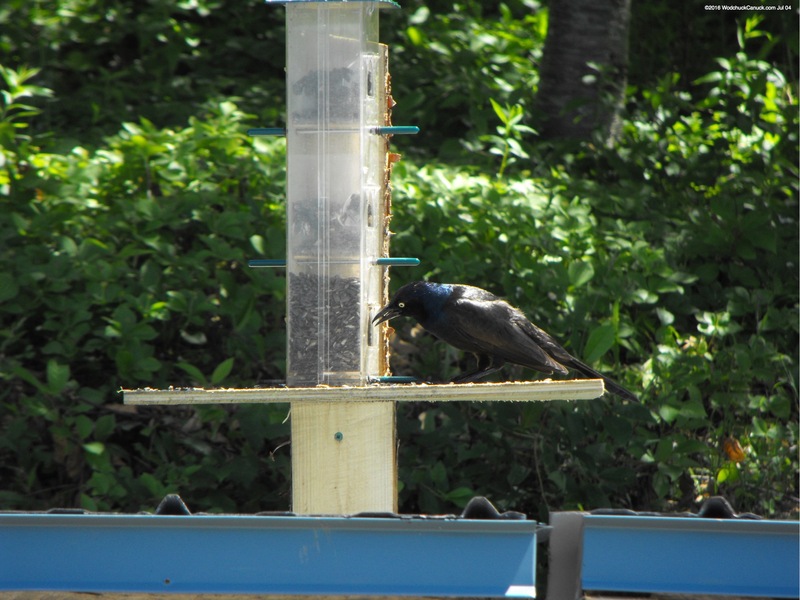 The feeder I keep filled with black oil sunflower seeds. The finches really like this type. I tried a batch of the striped sunflower seeds after they ate through two large bags of the black oil seeds.